My eleventh ground of 2019 was on Sunday 10th March at Gorsey Lane in Warrington, Cheshire. The match was Rylands vs. Cheadle Heath Nomads in North West Counties League Division One South. Rylands Recreation Club is in the north-east of Warrington and has football, rugby and cricket pitches, bowling green, a gym and a classic Tudor-style pavilion. Rylands FC are situated on the west of the site running concurrent to Gorsey Lane meaning it backs onto terraced housing on this side. The recreation club facilities are on the eastern and northern flanks with trees separating the southern end from the Liverpool-Manchester southern rail line. The venue is situated in between Warrington Central railway station (one mile to the west) and Padgate railway station (one mile to the east). The entrance to the ground is in the north-east corner. Adjacent to this is a small covered two-level concrete terrace with the rest of the northern end consisting of uncovered standing with a strip of concrete by the pitch and a shallow grass bank behind. The eastern side similarly consists of uncovered standing with a shallow grass and dirt bank behind a hard section at pitch side. The two dugouts are split by the halfway line and behind these are linked demountables for toilets, a food outlet and area for officials with a separate demountable towards the other end providing the dressing rooms. The western side of the ground has the main stand at the complex. The Ron Stretford Stand straddles the halfway line and has 50 seats spread across three rows of seating. The northern half of this side has uncovered standing with flat grass behind but the southern half of this side is not currently open to spectators. The southern end is the only area with no structures and it merely follows the pattern of having an area of hard standing with a grass bank behind. 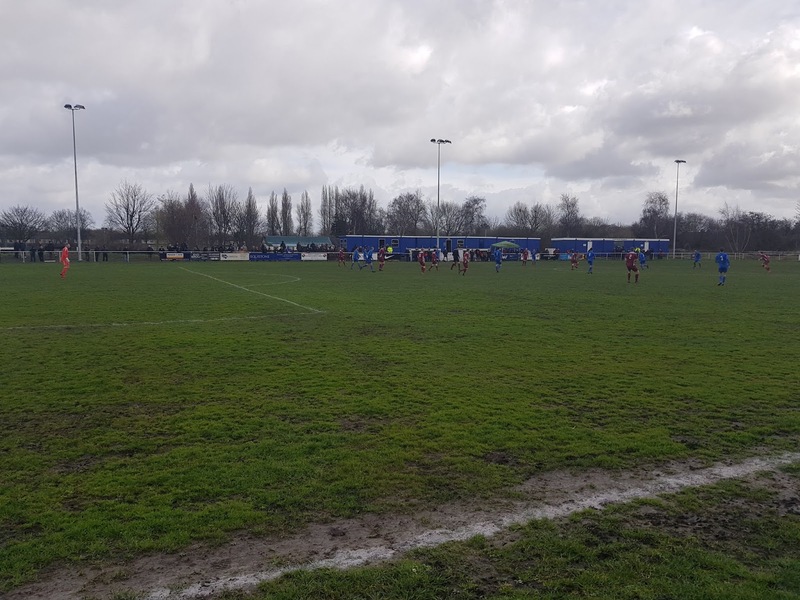 Rylands' first season in the North West Counties League was going terrifically well going into the game with the Warrington side four points clear at the top of the table with two games in hand. Their opponents, similarly in their rookie season, were secure in 10th place in the standings. Things initially appeared to be going to form as the visitors gifted Rylands the lead in the 5th minute. The defensive calamity started with a looping backpass to the keeper which put him in a tricky position. He attempted to head the ball clear but only succeeded in nodding it straight to Jay White ten yards from goal. White then laid off for Steve Boothman to stroke into an empty net. 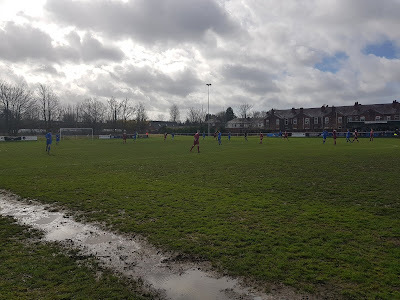 Rather than letting their heads drop Cheadle swiftly levelled in the 10th minute as nice interplay on the edge of the area saw the ball fall to Jimmy Green. His shot dribbled over the line after Rylands keeper Graeme McCall's failed effort to keep the ball out. In the 27th minute Cheadle went ahead from the penalty spot after McCall brought down an attacker in the area. Jimmy Green smashed his kick straight down the middle and though McCall got a hand to it the powerful shot was only deflected into the roof of the net. Rylands went close to equalising on the half-hour mark with Carl Lownsborough deflecting a Tom Parry cross just wide of the post, but then in the 36th minute found themselves further behind. Cheadle's Kieran Hibbert picked up the ball 30 yards from goal and his low shot snuck in off the inside of the post just out of the goalie's reach. The hosts continued to battle away and on the stroke of half-time reduced the deficit back to a single goal as Steve Boothman drilled a very good 25 yard skimmer into the bottom of the net. 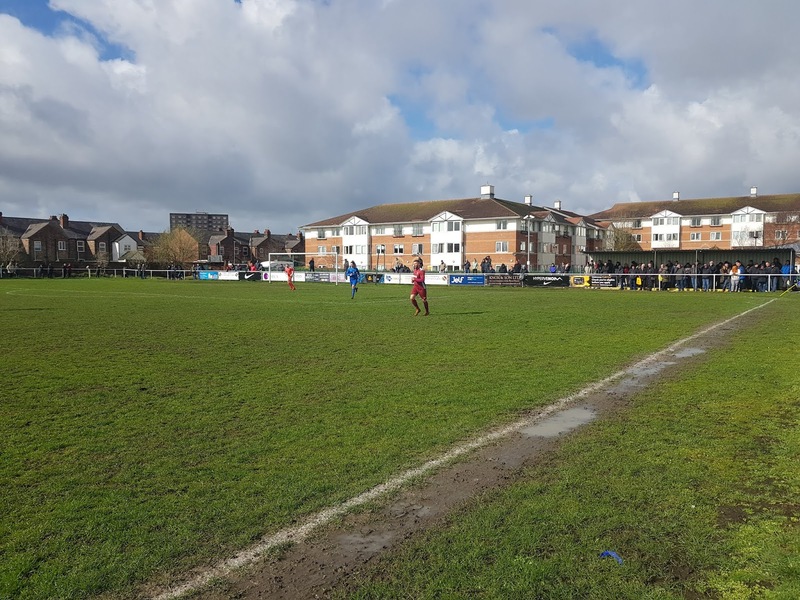 The table-toppers started the second period well creating a number of half chances but their hopes were killed over by conceding twice more in a three-minute spell in the middle of the half. The first of these came in the 68th minute when Ash Harrison rose to head home a free-kick into the box and a couple of minutes later Andrew Simpson was there to bundle a rebound over the line after McCall had just saved a Cheadle shot. The game could have drifted to its conclusion but to their credit the hosts tried to salvage something from the proceedings. In the 82nd minute a corner broke for Liam Moran who had most of the goal to aim for but managed to hit the underside of the crossbar. 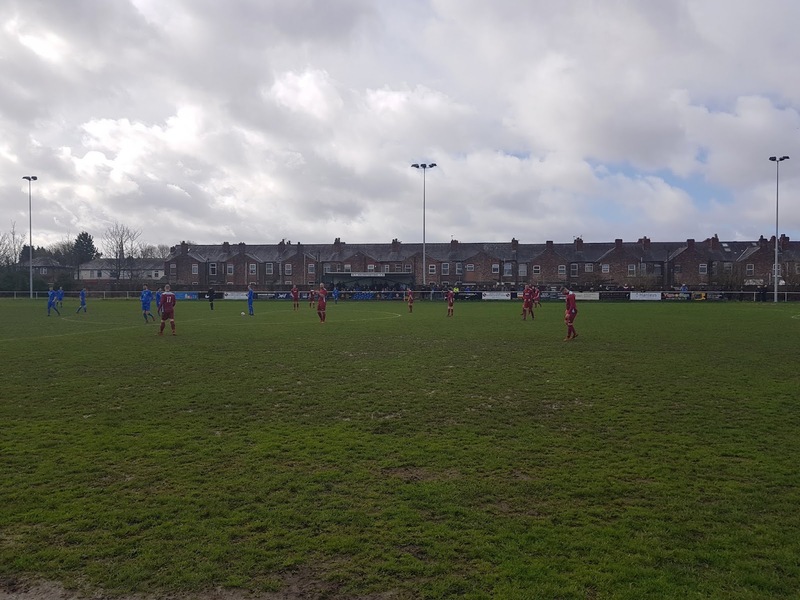 With three minutes left Jay White grabbed his second of the game for Rylands after getting behind the defence and rolling the ball past the keeper into the far corner. That was the last goal in an eight-goal thriller as Cheadle wracked up an unexpected win over the in-form Rylands.